Nikhil Mehta is a rare breed of theatre practitioner who owns his performance space. The cutting edge Black Box theatre, converted from a defunct factory, is quickly becoming the object of curiosity for Delhi theatre goers and so is his latest production, Woyzeck, which ran for the entire month of February, at the venue. Mehta talks to The Week about his startup and his future plans. You are one of the few theatre practitioners in this country who has honed his skills in a renowned university abroad and worked with world class professionals. Can you elaborate on that? Well, I did my BA in Dramatic Literature at New York University (NYU) and an MFA in Theatre Direction from Columbia University. Subsequently I was assistant director for the musical Sunday in the Park with George on Broadway, starring Jake Gyllenhaal. I also assisted James Lapine (Tony winner for Into the Woods) and Tom Kitt (Tony winner for Next to Normal) on a development workshop for the new musical Flying Over Sunset. Most recently, I assisted Vishal Bhardwaj on development workshops for Monsoon Wedding-The Musical and Rangoon. When did you first think of creating your own performance space and why? Space, the environment created to tell a story, is an integral part of theatre. Experiencing a story move through space, within a curated environment, is the fundamental differentiating factor between films and live performance. Over the last several years in Delhi, theatre makers have lost control of the space they work in (some theatres don’t even let you focus their lights!). 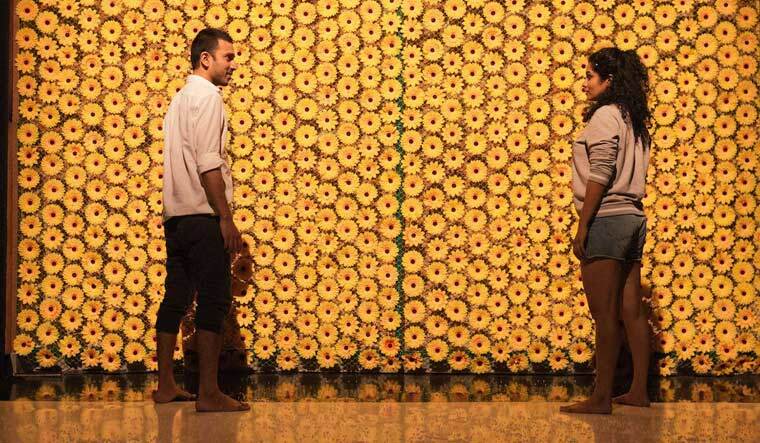 Reclaiming space is the first step towards initiating a dialogue about what we want our modern Indian theatre to be. Black Box Okhla is a laboratory for exploration and performance. The factory's unique architecture inspires environmental experiences that are impossible to create at traditional performance venues. Black Box Okhla is a completely flexible venue. Theatre-makers can choose the kind of audience-performance interaction that best fits their story telling. A proscenium setup is as easy to create as a a theatre in the round. No two shows will ever look the same here. Did your experience abroad influence your decision to create the Black Box? Absolutely. Only when you see what’s possible do you realise what you are lacking. We can’t stay closed off in our tiny theatre bubble in India any more. Do you think Delhi is ready for such cutting edge spaces and performances? Delhi theatre needs a radical reimagining. Revolutionary changes that will help us understand communal experiences in the digital age. We can’t wait for Delhi to be ready. We need to go out there and just do it. Only when we start rebelling against traditional narratives; only when we start using basic technology used in theatres around the world; only when we start exploring new texts; only when we start exploding inside a theatre will Delhi audiences see the possibilities of theatre. You have also decided to perform your play for a month, which means you do not give out your space to anyone else. Is that economically viable? I have one very clear programming mission—every show must run for at least a month. This can single-handedly change the theatre culture in the city. First and foremost, it will lend a sense of stability that is very necessary for any cultural entity. Stability for audiences and stability for theatre professionals. The weekend only model of cultural programming in India has led to the death of the arts. It has limited audiences, constrained artistic possibilities because the effort of creating something radical is too high and, relegated all arts to sponsorship dependability. A long run is the only way to build more audiences, which is absolutely crucial. For practitioners a long run will, in fact, facilitate a greater monetary return making theatre commercially viable. It will also encourage theatre-makers to use more resources and create more exciting work, because the returns on investment are higher. We must look at the theatre industry like a start-up. The first few years should be geared towards blowing up what theatre can be and steadily building an audience. Five years from now, we should move towards commercial programming models like in the rest of the world where institutions curate a season. Tell us about the process of putting together Woyzeck. It is a take on the original, and not the play itself, right? Our production of Woyzeck follows the original text very closely. We’ve translated and edited the text, but we have stayed true to the narrative. What has the response been to the play? Our goal has been to explode the possibilities of an empty room and run a show for a month. One both those counts the response has been tremendously encouraging. Which are the other plays that you have done in this space? Our premiere production was The Shakuntala Project that opened in September 2017. It was based on Kalidasa’s play Abhijnanashakuntala and was a contemporary retelling of Kalidasa's Shakuntala. Night after night, confined within the four walls of an apartment, a man and woman relive Kalidasa’s Shakuntala. Uprooting their existence as they frantically strive for something better, something different. It loosely followed the seven act structure but was more an exploration of the themes in the play. A musical at the end of 2018. Theatre is competing with the movies, television and numerous avenues of online streaming. The only way for us to survive is to forcefully exploit what is only possible in the theatre - theatricality. Theatre makers need to go wild in their performance spaces and experiment with all kinds of theatricality. Only then can we convince audiences that theatre needs to exist.